Devices of the series 19 and 29 dehumidify and heat the swimming pool hall and they reduce a possible concentration of harmful substances in the air. The devices are multifunctional compact systems with integrated control and regulation. ThermoCond 19 is suitable for swimming halls with lower heating requirements. ThermoCond 29 is equipped with an integrated heat pump. This increases the overall efficiency of the system and enables the dehumidification of the pool hall air in recirculation mode. 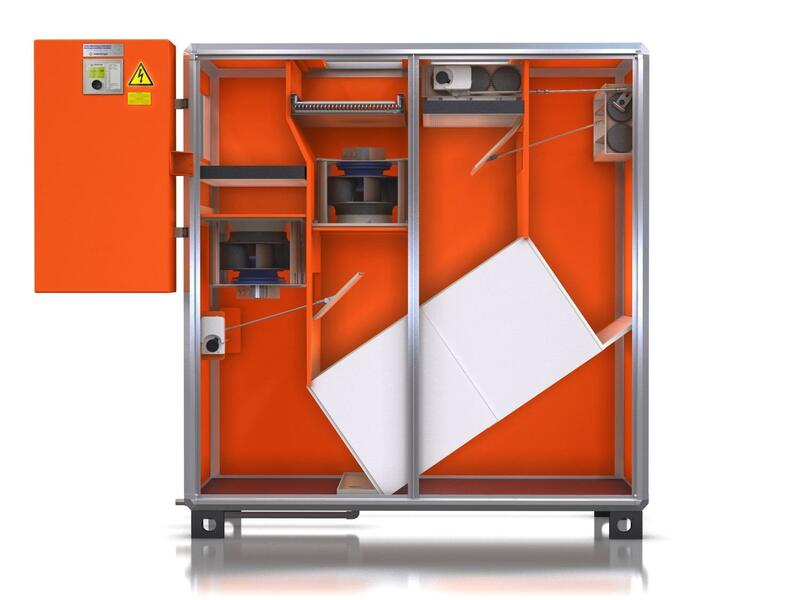 The design ensures the cleanability according to VDI 6022. If no requirements are placed on temperature regulation or dehumidification when the device is in standby mode, the system operates only in recirculation mode with reduced air volume flow. The air circulation in the swimming pool hall is guaranteed. 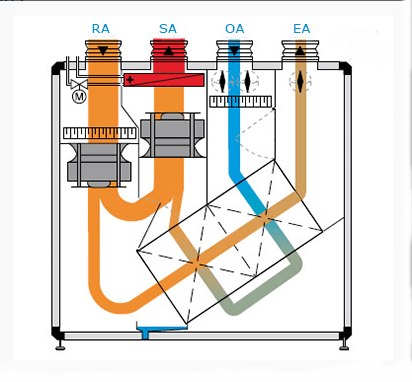 If heating is required, the return air is heated up using the heating coil to achieve the supply air temperature set-point. ThermoCond19: The swimming pool hall is dehumidified through the addition of outside air to the recirculated air volume flow. The proportion of outside air is continuously and automatically adjusted, depending on the current evaporation of water (occupancy level of the swimming pool hall), as well as the outside air humidity. 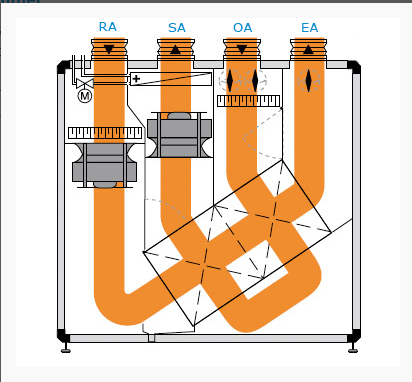 This If the waste heat recovery is not sufficient for achieving the desired supply air temperature, the supply air is reheated in the heating coil. In case of rising outside air humidity, the recirculation air damper is continuously closing as required. When the outside air humidity is high, the damper closes completely. 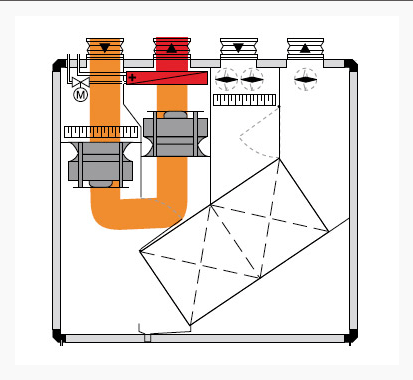 The system works at 100% outside air / exhaust air operation through the heat exchanger.